Now that you’ve had an entire week back to work, it’s time to put those new years resolutions into action. Is dancing on your list in 2018? 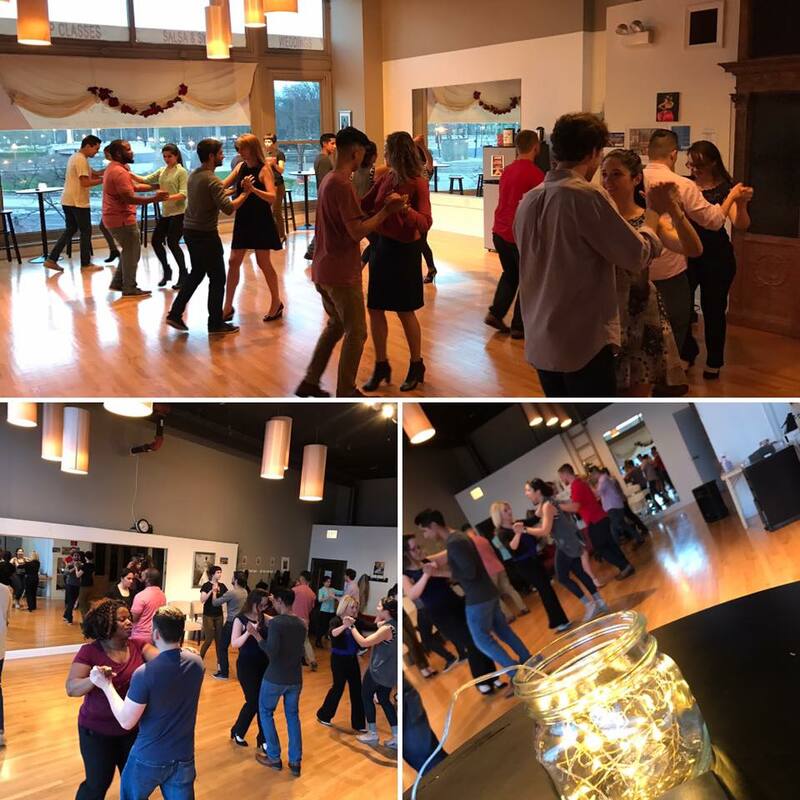 Here is a list of Chicago dance classes to consider right in the heart of downtown Chicago on the edge of the South Loop at 410 S Michigan Avenue. Just think, while you’re in dance class, you can miss that annoying traffic. This dance class is offered weekly on Tuesdays at 6:15pm for the month of January. There is no partner required for class. Each week the dance class explores a new dance style. This dance course is designed to introduce students to the world of dance. Dance styles covered in this class rotate each month and include Waltz, Tango, Foxtrot, Rumba, Cha Cha, Swing, Hustle, and Night Club 2 Step. Hit a home run in our salsa dance class in 2018. Salsa is the most popular dance class we offer year after year. Whether you’re headed to Mexico for a destination wedding or you’ve just wanted to learn how to roll those hips, you’re considering the right dance class. With the strong Latin influence in Chicago, our city offers many social salsa dance opportunities. For our students who want to continue their dance studies we offer an Intermediate Salsa Dance Class. Our Intermediate Salsa Clients typically develop friendships and support each other in social dance settings. They are amazing and we have enjoyed watching them grow throughout the year. We are so excited about this new class. Our ladies latin performance dance class will be taking place on Tuesdays in January. Our group of ladies will have the opportunity to learn a few dance routines and perform them throughout Chicagoland. We will be working on a medley of dance styles. Our first performance will be scheduled for the end of March. All levels welcome.